Hey guys! 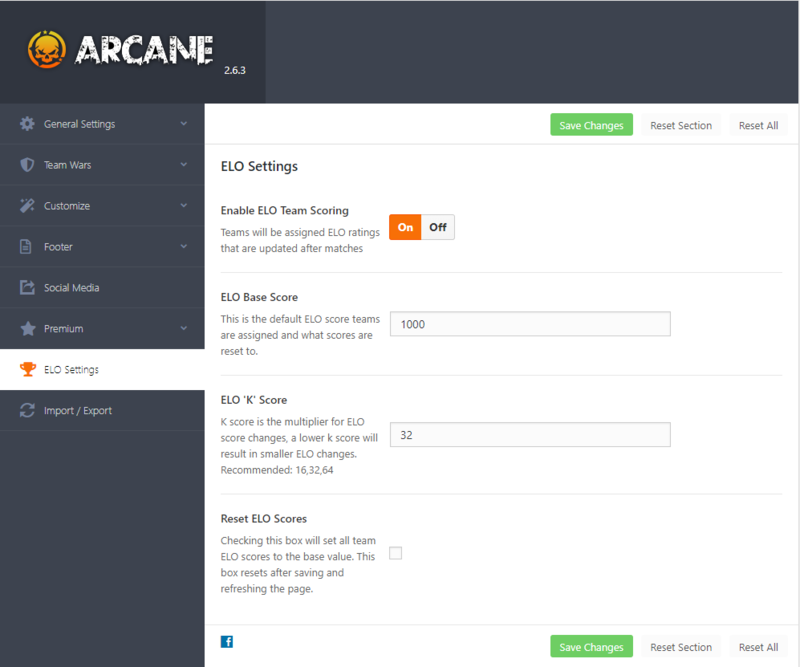 Some of you may know me if you use the Blackfyre theme, I created a few mods for it, but I got a ping the other day that people are looking for my ELO functionality in Arcane. Instead of modifying the core files of Arcane while waiting for the official ranking update. I’ve created an easy to use plugin that gives you some of the same functionality! I plan on adding a few more things such as a roster of all teams with their ELO scores visible but if you have any requests please feel free to post them below!